You might have met certain geeks, who are discussing the onset of future, and yes they are right, the future is here. Virtual reality is something that has enabled humans to experience something they haven’t seen before or virtually being at places they haven’t been before. Each of this is a new leap towards the development of something big, something exciting. Taking a small step in providing people with the taste of virtual reality the gadget which most of the people were waiting has finally arrived. 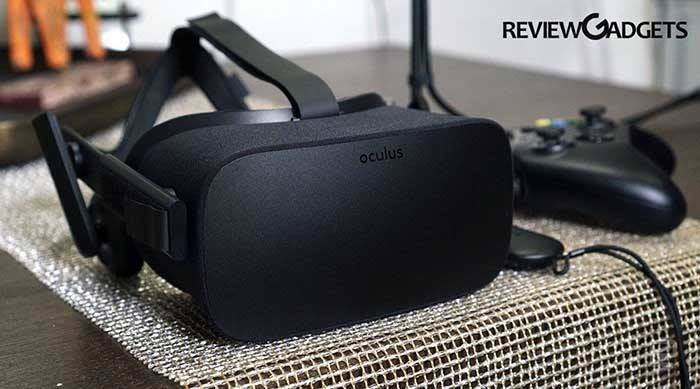 Oculus Rift VR is one thing that is sure to provide you the next level of virtual reality experience if you have the right gadgets with which it can work. The investment on this device is quite large, but we ensure you that this is going to be worth it. Let’s see what this new model in town has to offer. This gadget according to the company has minimal system requirements and can work on a computer possessing Intel i5 processor. It requires a NVidia GT 970 or a comparable graphic card with at least 8GB of RAM. Apart from this, your computer needs to possess three USB ports and an HDMI output port. 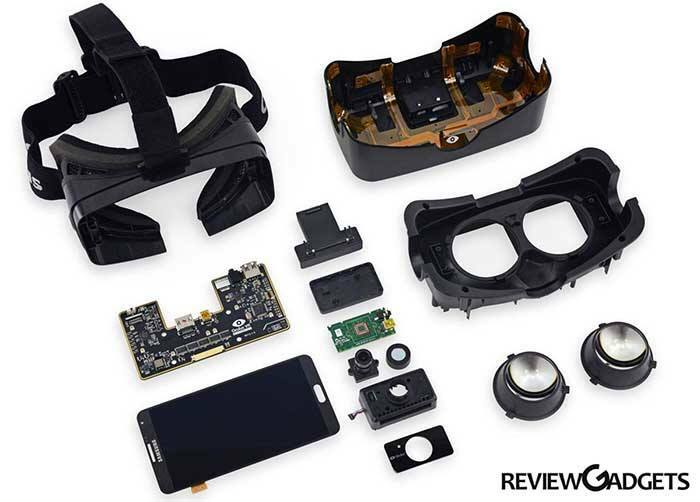 Actually, the device for itself just requires two ports, but one additional port is recommended as there is a motion control accessory available in the market which is not provided with the rift. So seeing the list above you can be sure that you would require a PC with a high-end configuration to run and experience the world of VR. If we talk about the design as well as the hardware involved, the device is comparatively heavier than other VR devices available, but once you wear it, you wouldn’t feel any weight as it distributes its weight evenly. It has a head-mounted box holding high AMOLED display (one for every eye) running at a resolution of 1200X1080 pixels at around 90Hz. There is an accelerometer and a gyro meter embedded into the device, and this device also supports head movement tracking with the help of embedded IR sensors. Oculus has even included implicit earphones, and there is a receiver implanted too. Spend a little time with this device and you are sure to be acquainted with it real quick and of course, would fall in love with it too. This gadget doesn’t require much of hardware, unlike Gear VR where the phone is required to be set in the device. It only has one cable coming out of it which on the other end splits into a USB 3.0 and an HDMI cable. The device can be adjusted across your head in a number of ways and so can the headphone attached to suit your ears. There is padding provided along the sides of the headset and so is a soft cloth-like lining along the displays. There is an embedded sensor in the device which allows for turning on the display when covered, and a small button for adjusting the pupillary distance. If you talk about the accessories that come along with this device, then you get a sensor along with a desk stand, a remote for Oculus and a Xbox One Controller with a wireless adaptor. Yes, there isn’t any motion controller included in the package yet. Once you have the PC with the above configurations assembled there isn’t much that you would require setting the things up. You simply would need to plug in the USB 3.0 and the HDMI cable onto your video card followed by plugging in the sensor into some other USB port and placing it on the desk. Once done, you will have the Oculus application leading you to process and configure Rift. You might be required at some instant to upgrade some video card features which can easily be done through the internet. It is one of the easiest things to use and interact with. This well-designed application with a smooth interface is surprising for such first gen products. You would have some games and application lists available in front of you; those are easy to download as well as browse through. Similar to the Google Play store, each application has the description as well as screenshots attached to it and is based on the level of “Comfort” you would experience. The “Comfortable” games are those for which you would not require moving much while the “moderate” ones would require a bit of movement. The last “intense” stage would require experiences where the user might have to jump or run around. Apart from this Oculus application allows for you to customize your headset with much ease and the settings are pretty much straightforward. All you need to do is some clicks, and there you are ready with your device. Using this gadget is pretty much easy and so is configuring it. It tends to provide an impressive level of presence as well as immersion. There is some drawback such as the AMOLED display being pixelated at some instances, but you need to look beyond these to get the full sense of immersion. At certain levels you would feel the images along the side of the display tend to be blurred as compared to what’s in the center. There is also a single long wire that irritates you at some instances. The device is easy to use, and one can wear it for hours without any issue except there would be a lot of sweating and dryness around the eyes. However, this can be covered by one of the great experiences you would have with the device. Also, it is recommended that you don’t use this device before bedtime as the high-intensity light can hinder with your sleep. The gadget is surprisingly amazing and after using it we still couldn’t believe that we could now experience VR at home. It has become as easy as using a computer to play games or turning on the television. But we won’t say that this device is perfect as there are definitely some flaws with regards to image generation and capturing. The images as we told are blurring in some cases, and hence, a better quality of gaming hardware is required. The price can still be adjusted as this is something that is entirely changing the way we experience or perceive the world. But this is one of the drawbacks as this device is not something that everyone can afford. However, we believe with the advancement in technology we would have some cheaper hardware, one that everyone would be able to afford.